Ultimate Performance Engine Compartment Upgrade Kit. 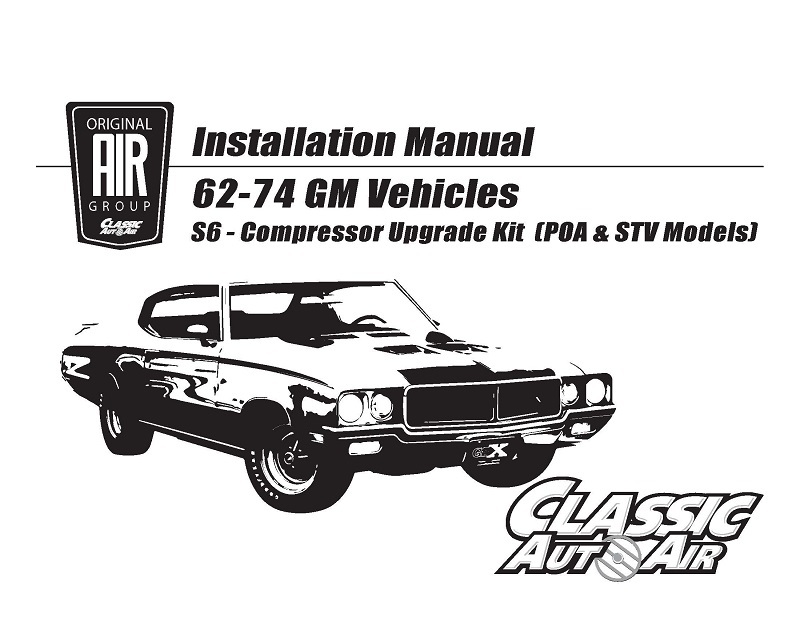 This kit is engineered for your 1970-72 Buick Skylark, Special & GS with factory a/c and Buick V8 engine. Modern high performance "Parallel Flow" evaporator that installs as stock. Eliminates shaft seal leak problems associated with the stock A6 compressor. ** Kit does not include a compressor bracket. Original Buick compressor bracket must be reused. WHAT ENGINES DO THE COMPRESSOR FIT? Any stock Buick V8 350, 430, 455 engine with the compressor mounted on passenger side (right-hand) of the engine, using a SINGLE BELT GROOVE compressor. The original Buick A6 compressor mount must be reused.